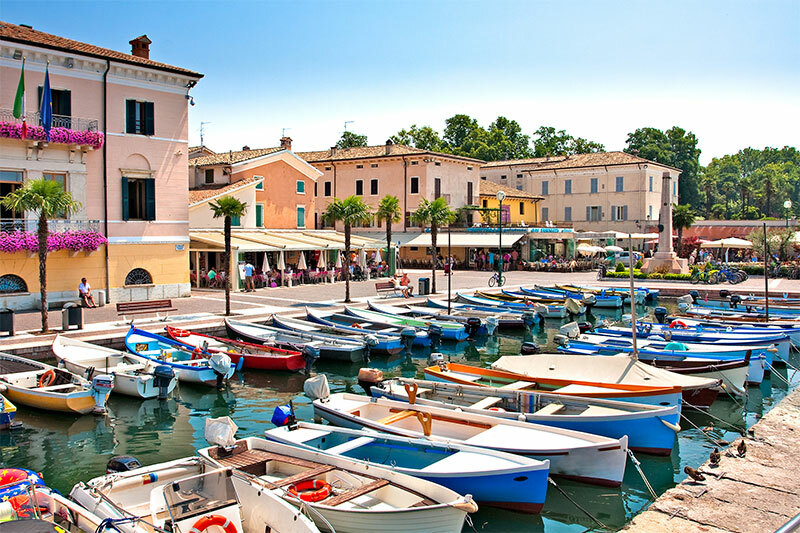 The historic centre of Bardolino still contains small fisherman’s houses overlooking the lake. 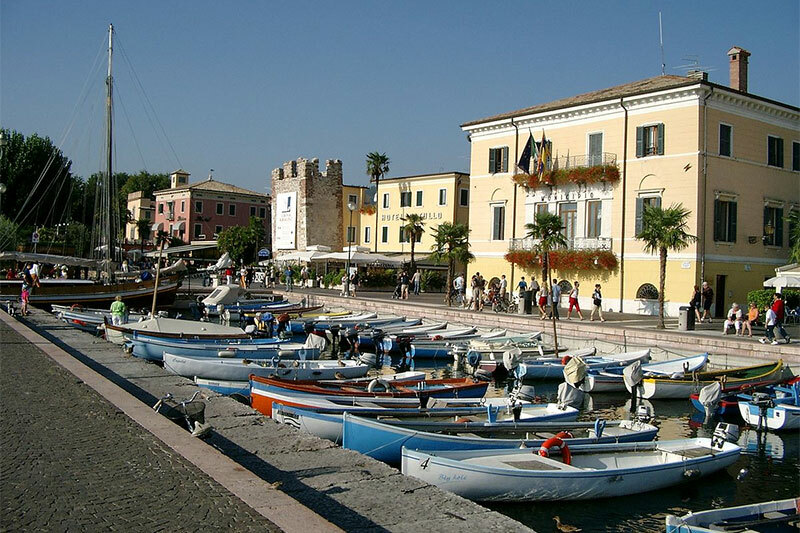 Here and there you can see shop windows for fashion brands, souvenir and traditional local shops, cafes and restaurants with the fresh catch of the day and Bardolino wine made with grapes from the province of Verona. 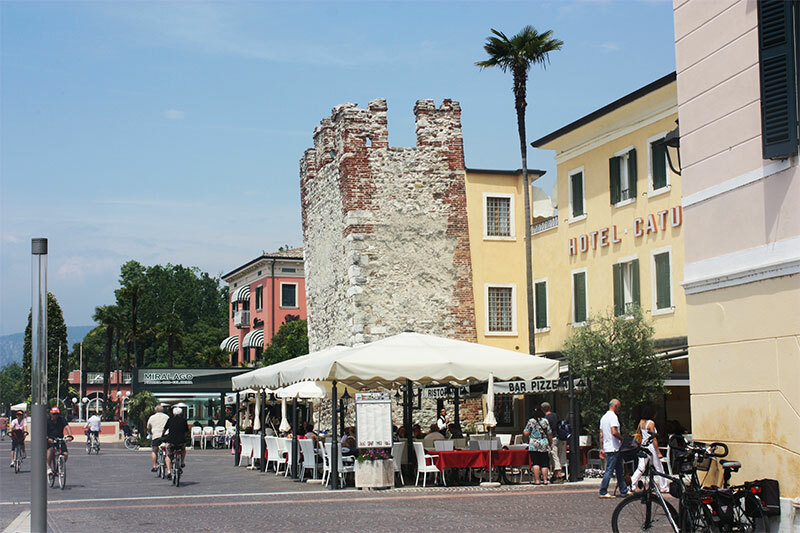 To enjoy Lake Garda, we recommend the lakeshore esplanade, best at sunset when the last light of the sun burnishes the horizon with lovely pinks. 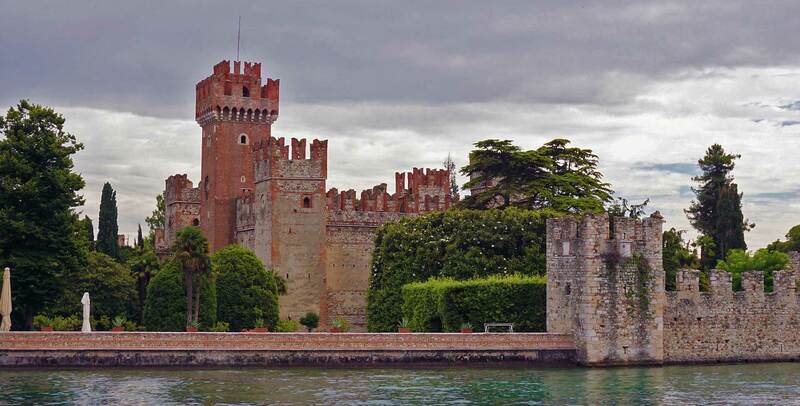 In Bardolino we recommend a visit to the Castello Scaligero, constructed in the later years of the 9th Century. If you want to learn more about food, we’d advise the Museo dell’Olio d’Oliva, a historic and educational route that showcases the cultivation of olives and the production of their oil. At the gates of the town there are a few villas from the 1800s, surrounded by lush parks along the panoramic lakeside. The fine landscape around the Garda offers a lovely view, rich in natural beauty and in chances to engage in outdoor sports. 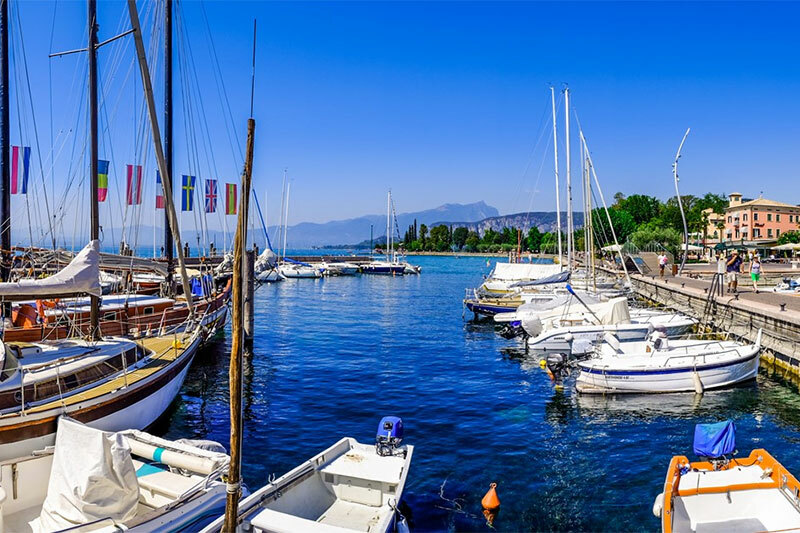 Around Bardolino you can taste the thrill of sailing and windsurfing, the two most popular activities on the lake’s waters.